Why are Primary Sources Important to My Research? A primary source is a document, text, map, image, or artifact that provides evidence about the past that was created during the time period being studied OR at a later date by a participant or eyewitness to the event. 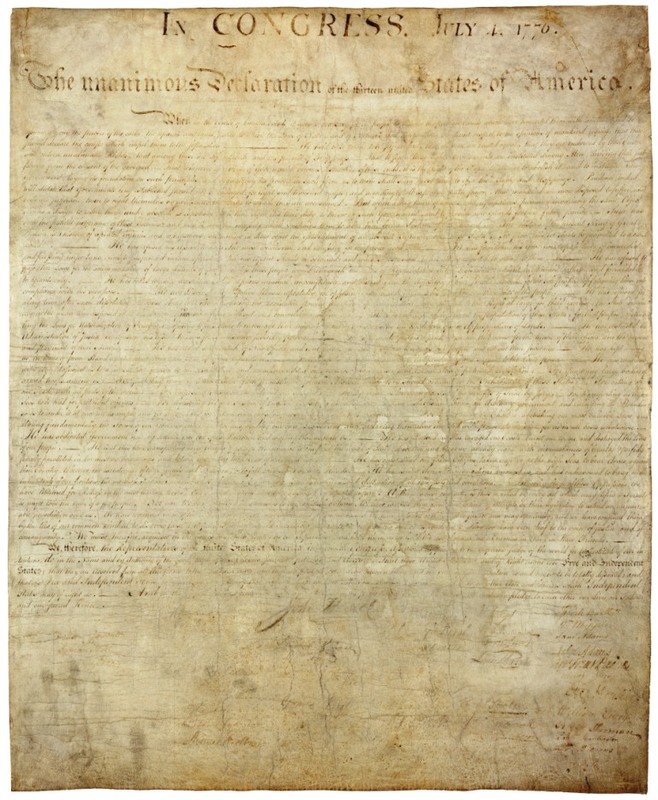 A primary source may be unique (only one in existence, such as the original Declaration of Independence), or it may be reproduced/copied in published, translated or digital form. Government documents are a specialized type of primary source, providing direct evidence of the functions, policies and actions of a given government. A primary source has not been interpreted by a non-observer or non-participant’s account or later observation - in other words, a book by a contemporary author that discusses the impact of the Declaration of Independence is NOT a primary source. Note that while primary sources are valuable in research, they may not always be accurate! Here's a list of sources you may encounter, which, while helpful and useful for researching aspects of your topic, are NOT considered Primary Source materials. Remember, if you have a questions about whether something counts as a Primary Source, your instructor has the final word (although a Librarian can certainly provide advice!). • A dictionary or encyclopedia article (these are sometimes referred to as "background" sources, since they provide an overview, or background, on a given topic, without the depth needed for a research paper). • A textbook that contain data or information drawn from primary sources. • Any NON-eyewitness account that relies on information from other people or sources. • An account that includes an opinion of what the writer believes occurred during an event, or an assessment - of what the writer feels is the influence/legacy/meaning of the event, by a writer who was NOT present at the event in question. • A magazine or newspaper account summarizing the event. HOWEVER: depending on the event you are researching, newspaper articles can provide an indication of how the event was viewed at the time, such as how a speech or decision made by leaders was received, how the general public reacted to a given event, or how a community or group was affected by the event. • Diaries (written at the time of the events), for what they reveal about the person you are researching. • Military orders, because they were written for a specific audience and show intent. • Letters, also because they were written for a specific audience and show intent, however: be aware of/consider the intended audience when using. • AARs (After Action Reports) & Congressional documents, for the action, execution and reception they reveal regarding an event. • Newspapers, because they indicate the reception of an event, decision, law, etc. Be careful though: bias may affect the information presented. • Memoirs, for their distance from the event, meaning the writer had time to reflect on past actions. However, note that this reflection at a chronological distance may be defensive (to preserve a reputation) rather than critical. Primary sources provide us with a snapshot of history on the topics we're interested in. These primary sources, be they documents or artifacts, stand alone, without context or interpretation, and give us a chance to see firsthand something from another time period. Since we're looking at the object or document itself, we are the primary interpreters of the meaning embodied in that item - helping us realize that different eyes can see different meaning and significance in any given object or document. It's up to us to analyze the document or artifact, set it into the context we know (other related items we've seen or read, other information we have about the time period, and what we know about the person or people who created the document), and come to a conclusion about its significance. The USMA Library Circulating Collection provides access to countless Primary Sources, both in our print collection and through our subscription databases. Remember that when you are looking for primary sources, you're looking for documents that supply firsthand or original information: a treaty, the text of a law, a transcript of a trial or hearing, the diary or memoir written by someone involved in your events, etc. One the right, you'll find some tips and examples for searching the USMA library for primary source materials, and below, you'll see a selected list of links to databases that contain primary source materials on many different topics. When searching for a Primary Source, brainstorm some keywords based on what you already know, being as broad as possible. Try using the names of people involved in your event, groups who might have been influential, or the name of the event itself. For example, let’s suppose you’re interested in writing about operations on Little Round Top during the Battle of Gettysburg. Some possible names or keywords to try are: ‘Chamberlin, Joshua’ (search as "Author"), and ‘20th Maine,’ '15th Alabama,' or 'Little Round Top' (in quotes, as "Keyword"). You can also search for types of resources by utilizing the "Keyword" search command; try 'personal narratives Gettysburg' or 'Regimental Histories Gettysburg' without quotes. The Unique Resources Division of the USMA Library is a great place to find primary information sources that provide unique insight into the events or people you are researching. 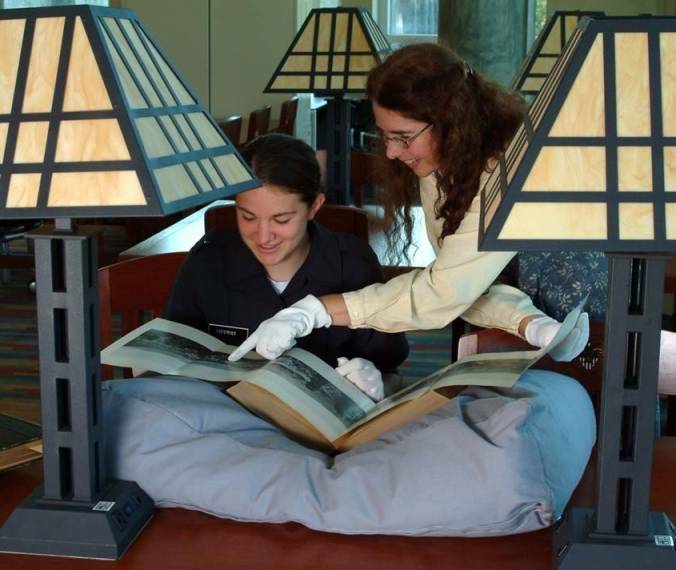 The Special Collections consist of rare, unique, unusual or fragile materials which relate to the mission of the USMA Library and the Academy, or which were created by or donated by a graduate of West Point. The Archives include materials related to the history of the Military Academy, including information about the curriculum over time, application papers, textbooks, information about faculty members and Superintendents, and demerit books, just to name a few of the varied types of materials held here. These materials do NOT circulate, but arrangements can be made to view them. During the Academic year, you can stop at the Heritage Room on the 3rd floor of Jefferson Hall (JH 314) between 0900 and 1630, and ask a staff member what information might be available on your topic. They will be happy to help you find a relevant primary source. You can look at some of our primary sources by searching our Digital Collection, which collects and displays items from our unique resources collection that have been digitized. These items include Civil War maps, maps of West Point, Class Albums and Class rings, and historic photographs of West Point. In addition, many of these resources are cataloged, and can be found when searching the USMA Library catalog for information on your topic. The location designation "SPECIAL COLL" indicates that the item is part of our unique resources collection. If something you find in the catalog has this designation, you can make arrangements to view it by contacting one of the staff members in that division (look them up here), or by stopping by the Heritage Room, JH 314. Provides access to papers concerning English activities in the American, Canadian, and West Indian colonies between the sixteenth and eighteenth centuries. Integrates two research tools as one service: Collection CO 1 from The National Archives (full name: Privy Council and related bodies: America and West Indies, Colonial Papers); and Calendar of State Papers, Colonial: North America and the West Indies 1574-1739. Full-text documents received in the British Foreign Office from all European states under Nazi occupation during World War II. Primary sources relate to wartime conditions in France, Italy, Belgium, Sweden, Norway, Denmark, the Netherlands, Luxembourg and the Vatican. Database of declassified material provided via US presidential libraries, most covering the years following World War II onward. 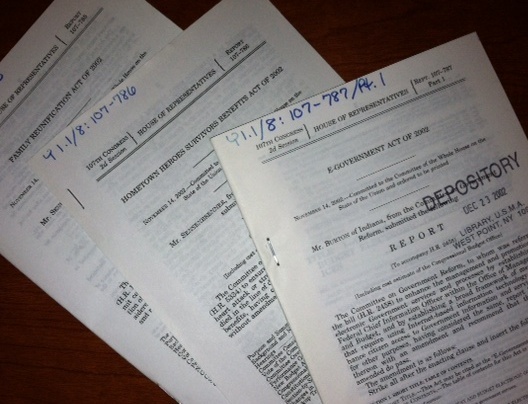 Collection of official United Nations documentation, beginning in 1993. Provides access to the resolutions of the General Assembly, Security Council, Economic and Social Council and the Trusteeship Council from 1946 onwards. Collection of documents covering the history of slavery worldwide. Topics covered include the African Coast, the Middle Passage, the varieties of slave experience, religion, revolts, abolition, and legislation. The collection also includes case studies from America, the Caribbean, Brazil, and Cuba. Primary sources (correspondence, orders, reports, and returns) generated during the course of the Civil War. Addresses at the funeral of General Mansfield, in Middletown, Conn., September 23, 1862: Mr. Taylor's address. Mr Jacson's address. Mr Dixon's address.--Rev. Mr. Taylor's discourse on the life and character of General Mansfield, September 28, 1862. Map of Culpeper Madison and Rappahannock : From surveys and reconnaissances by C.S. Dwight Lt. Engrs. P.A.C.S. Shows towns, roads, waterways and land owners; Map on paper backed in linen. Edited by A. P. C. Griffin from the original, preserved in the Boston Athenæum. The Alumni magazine of West Point, published by the Association of Graduates (also available through the Digital Collection). Ordnance officer; Assistant Instructor, USMA, 1870-72. Memorandum Book, with cadet demerits and class standing, 1864-65. Cadet life and military training at Camp Buckner, USMA. William H. Stockbridge was an official photographer for the United States Military Academy, and took hundreds of photographs of West Point during the years 1902-1932. 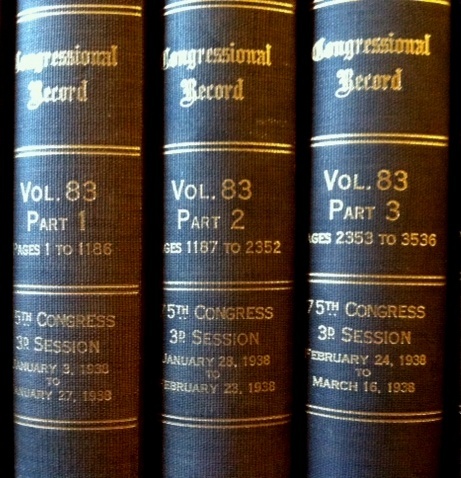 Copies of the Annual Reports, dating from 1890 through 1989. Collection of images (photographs and graphics) depicting the Army Foot ball team and the Army-Navy football rivalry through the years. Collections of digital versions of the Howitzer, the yearbook of the United States Military Academy.